Did Lady Gaga really post an Instagram photo with a #mussmagic hashtag? Shalom to all AMHSI fans! … we just wanted to tell our fans that it was indeed a spoof. Well done to those who did their research and called us on our bluff, Dalia Burack and Danny Wein! 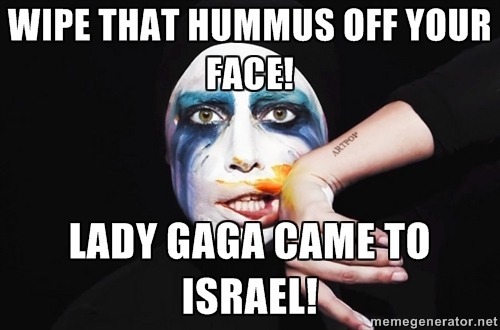 Even though Lady Gaga didn’t post this on her Instagram, we do appreciate her supporting Israel and still performing her concert here after an intense summer of concert cancellations! Israel is an amazing place with amazing people. Speaking about amazing people, our new students have arrived this semester with some amazing stories to share. Follow our Facebook, Instagram, Twitter, and Tumblr to hear about there stories and why they chose to come to AMHSI. Stay tuned!!! !